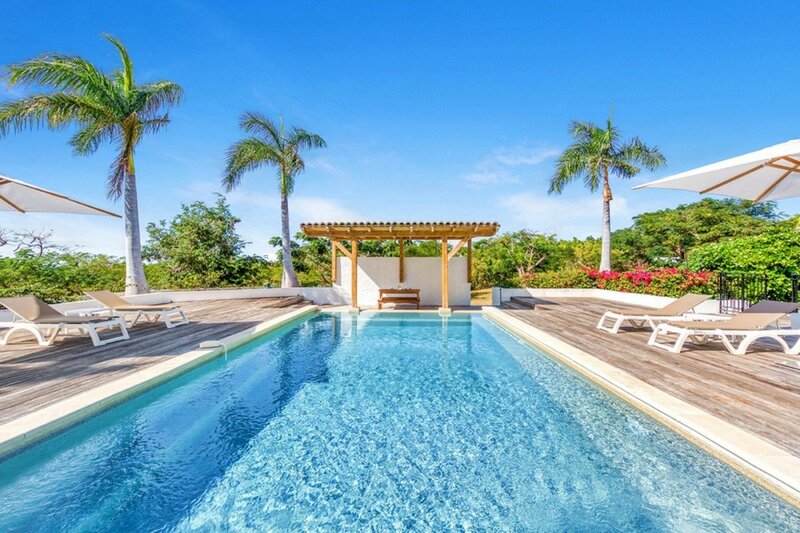 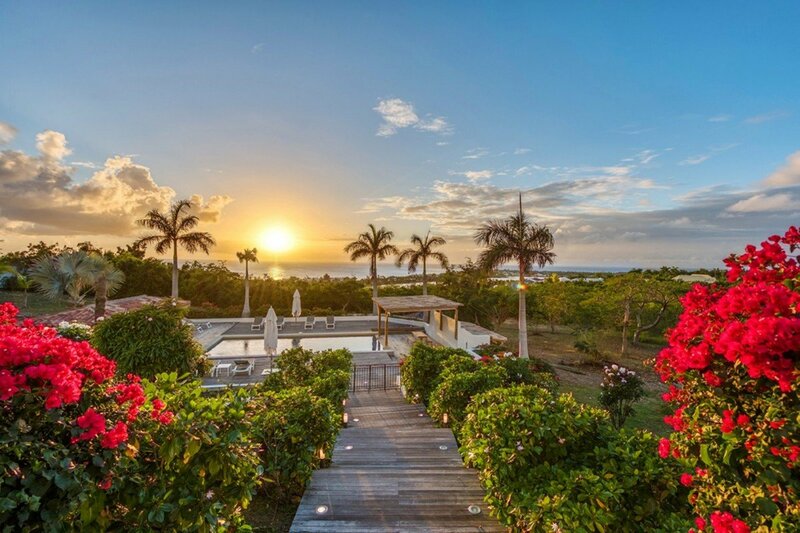 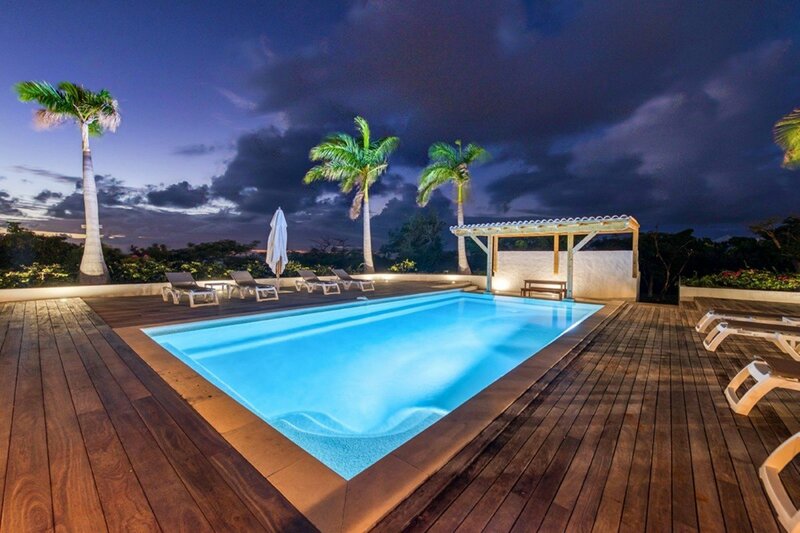 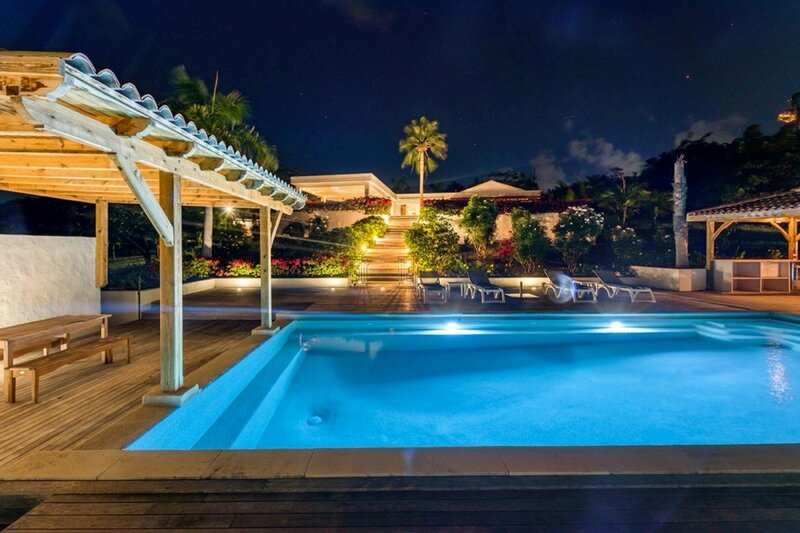 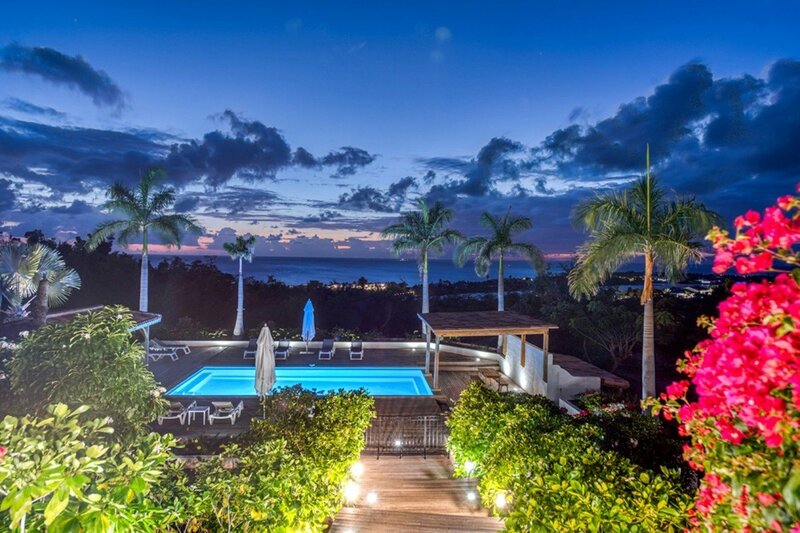 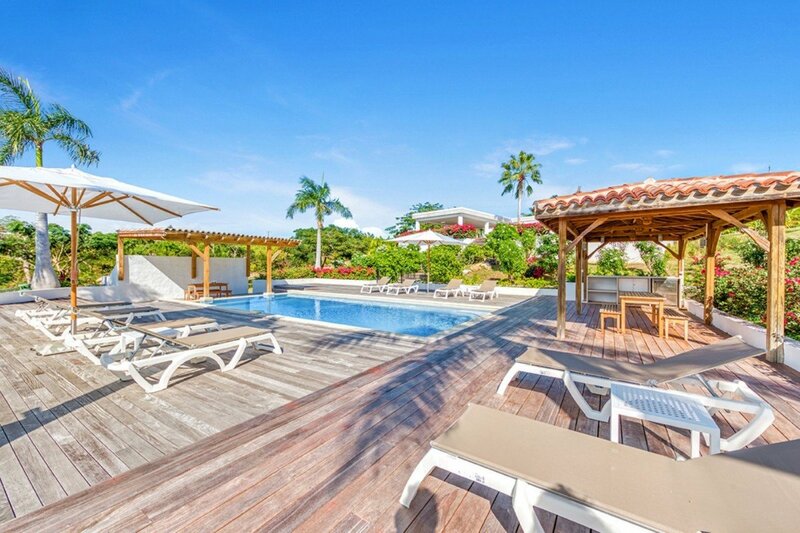 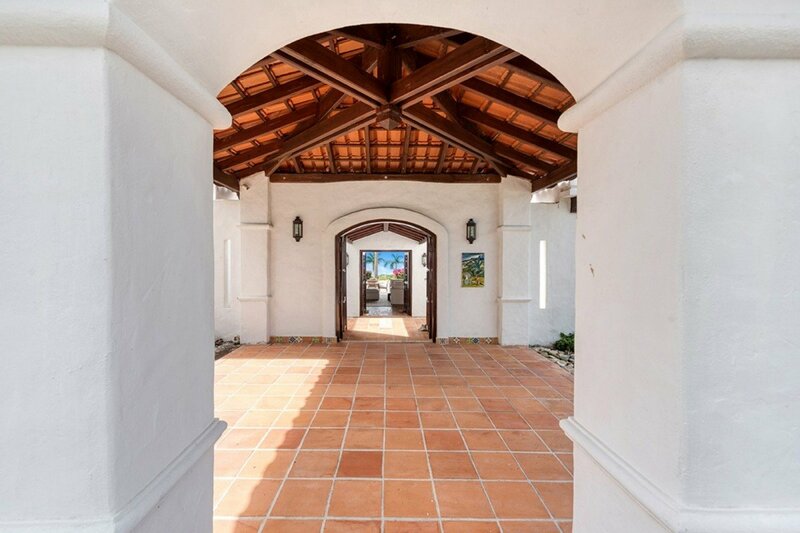 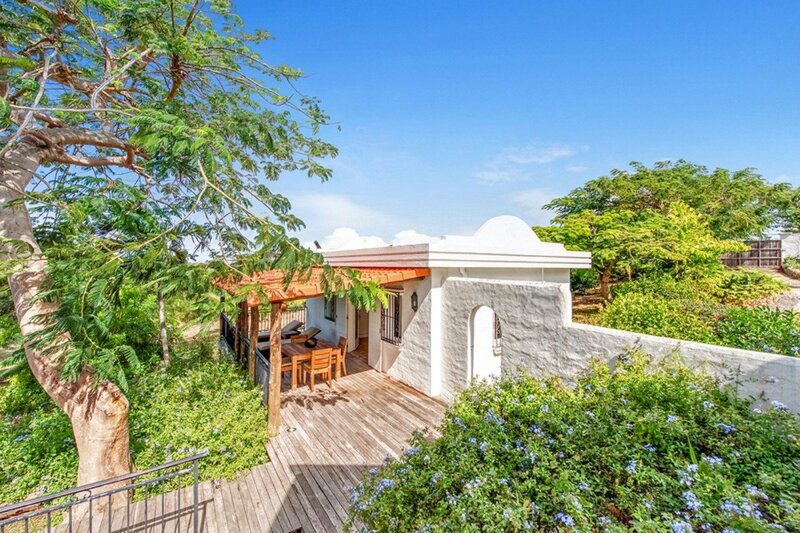 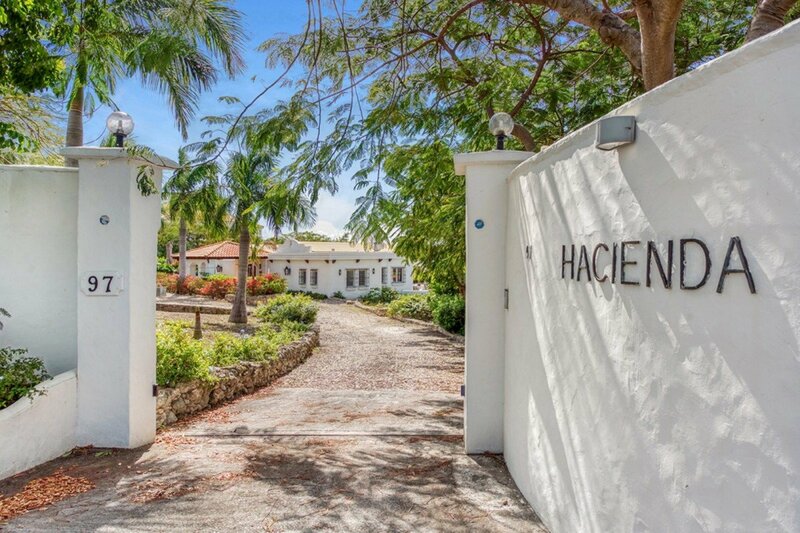 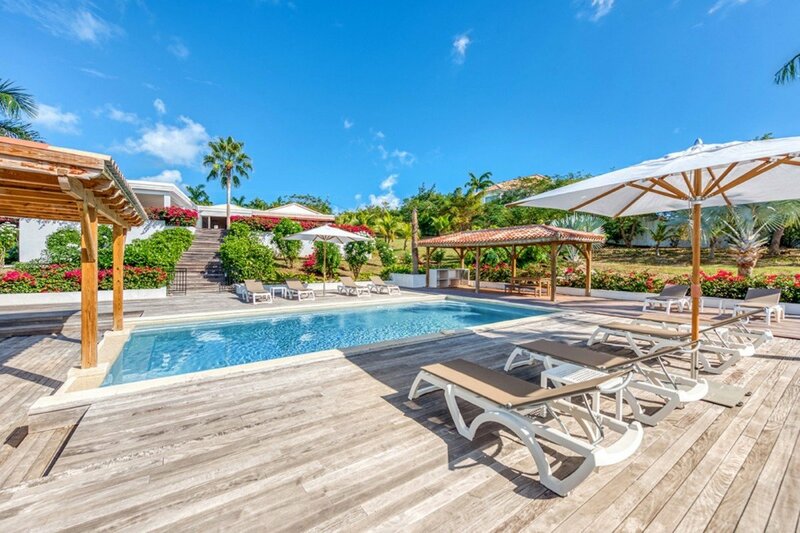 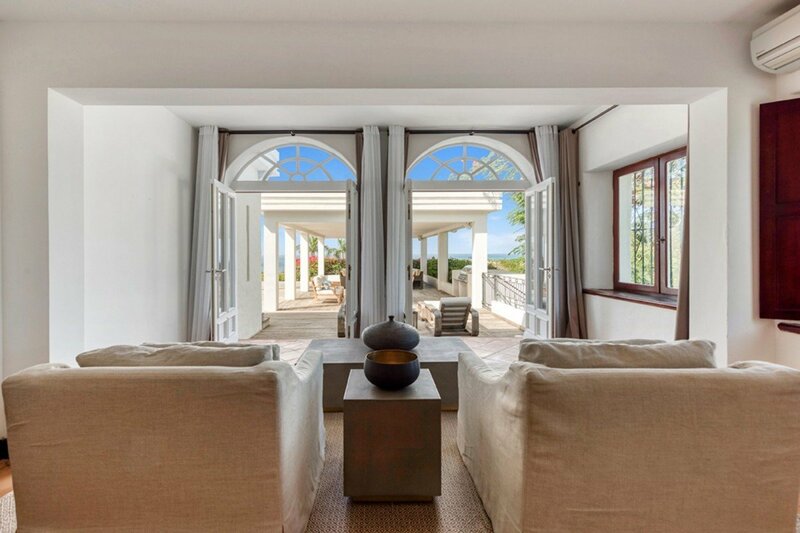 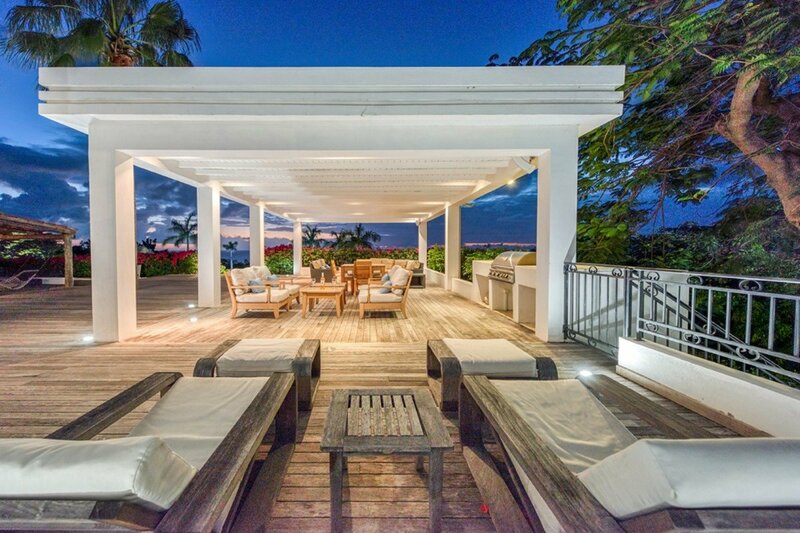 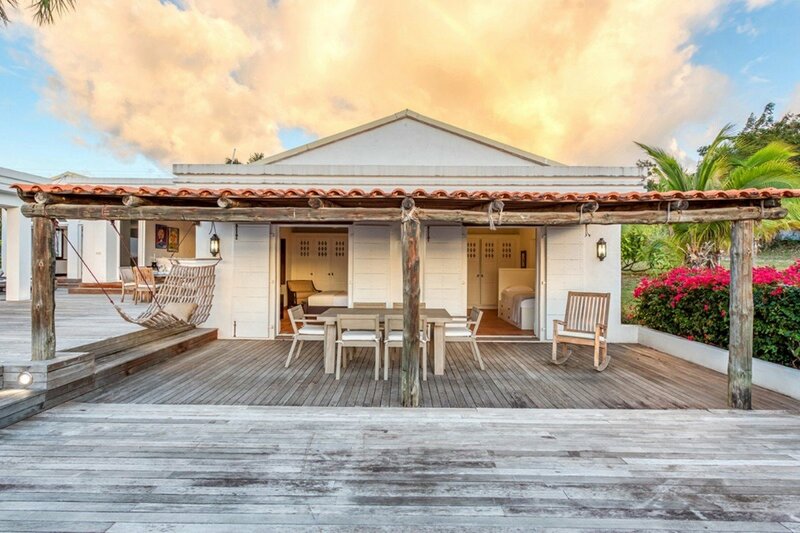 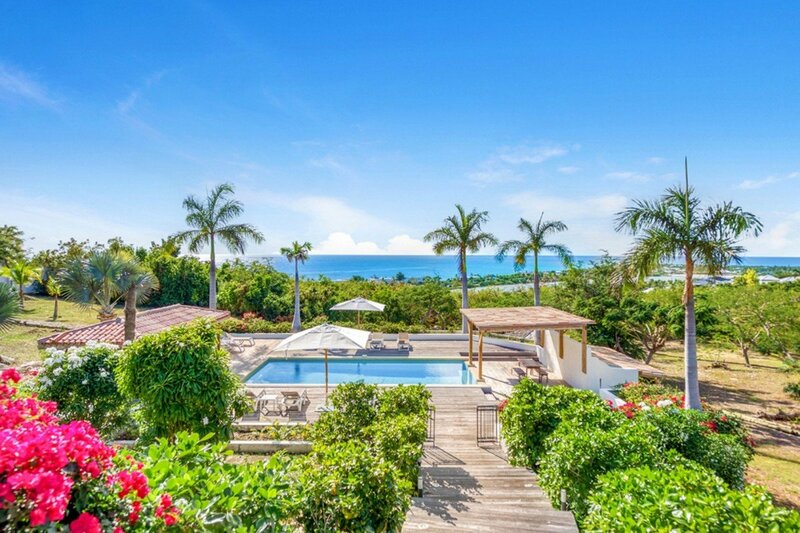 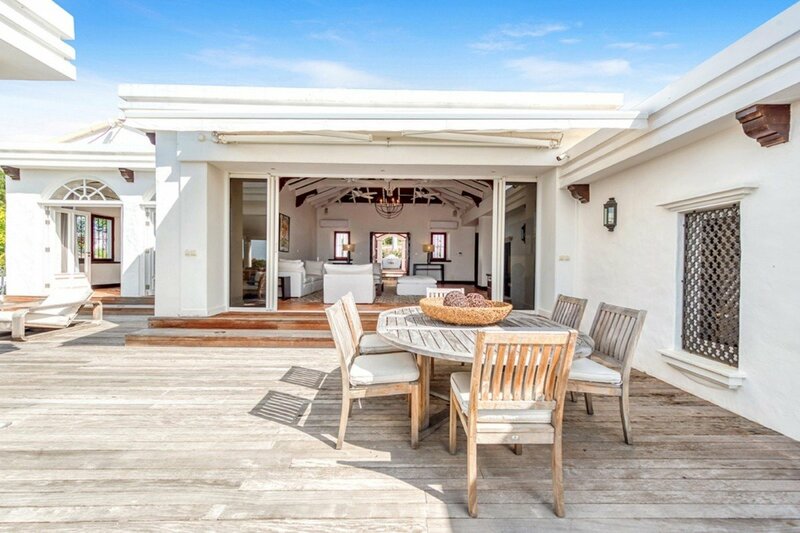 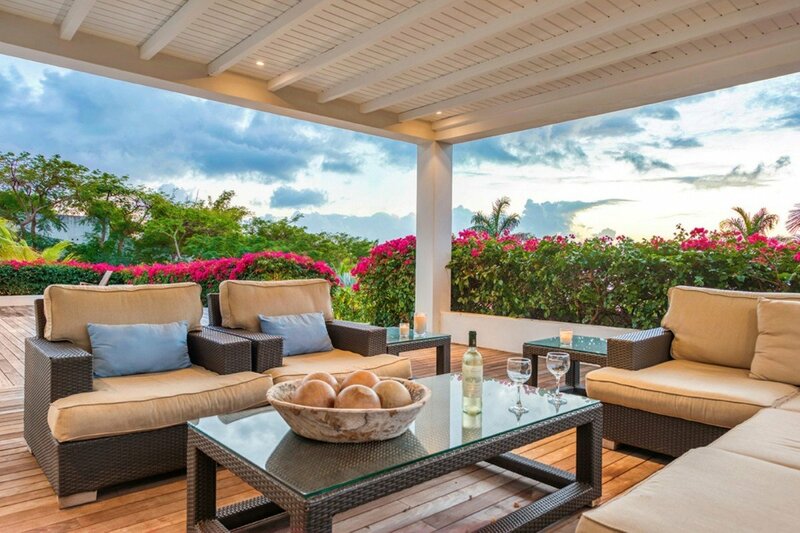 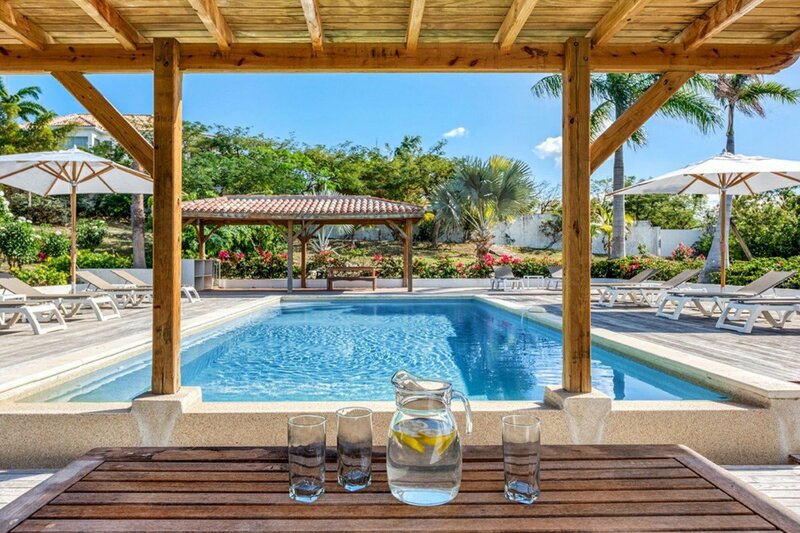 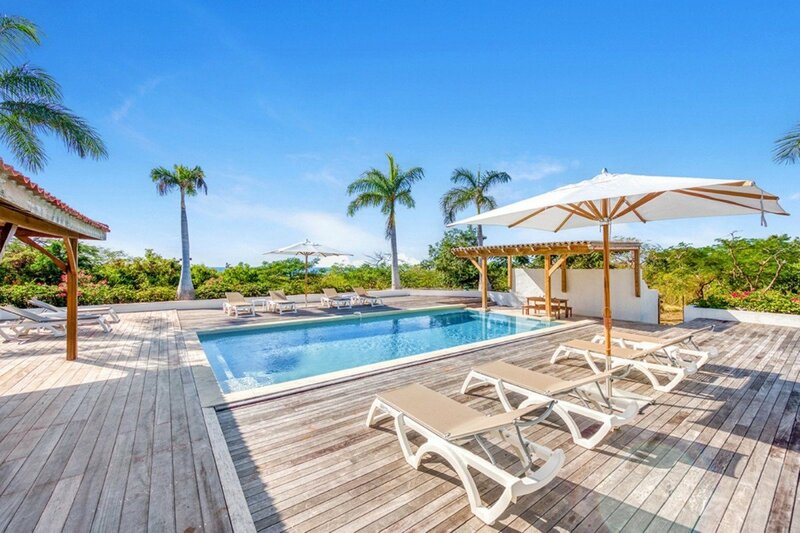 Villa La Hacienda, located in Terres Basses, St Martin, is a beautiful family inspired villa that offers stunning sunset views and gorgeous landscaping, allowing every guest to experience the true meaning of tropical beauty. 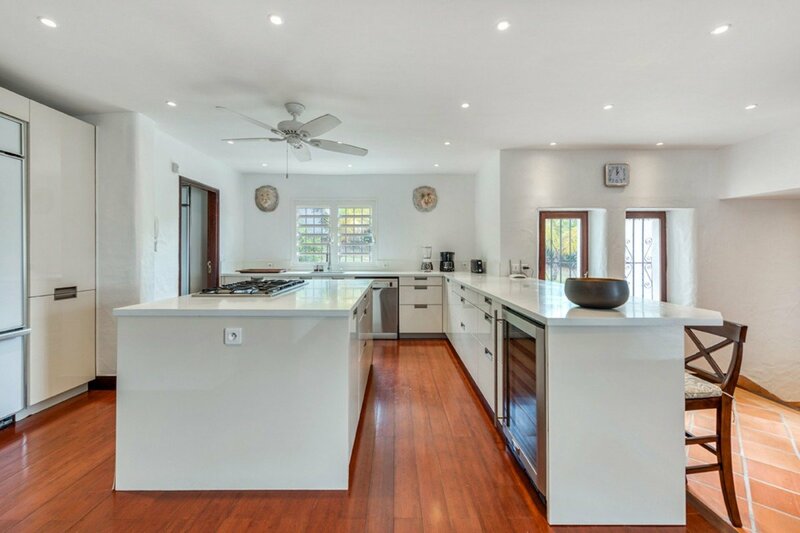 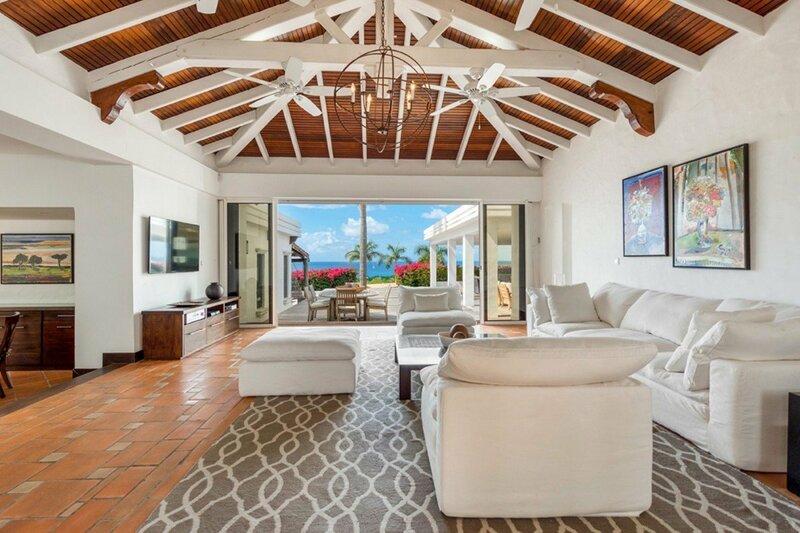 Showcasing a amazing island decor throughout the house, this lovely new villa also features two brilliant connecting rooms and a fun, exciting playground for the little ones. 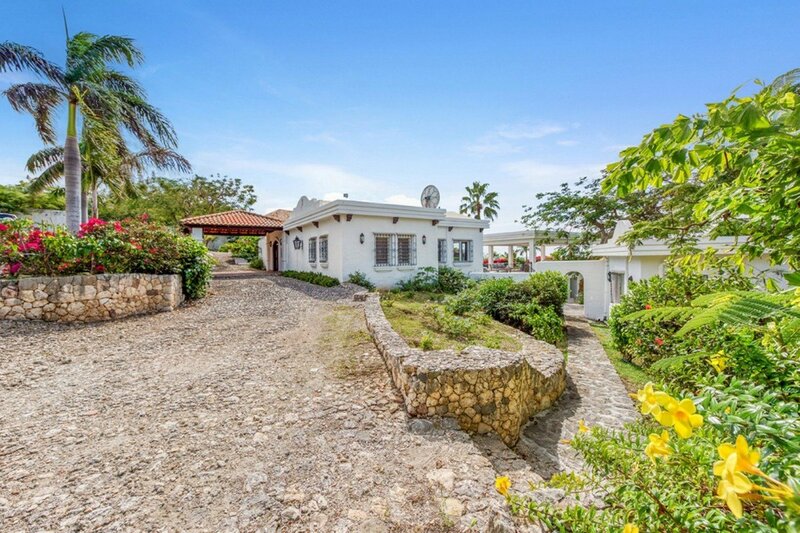 Villa La Hacienda on St Martin features two buildings. 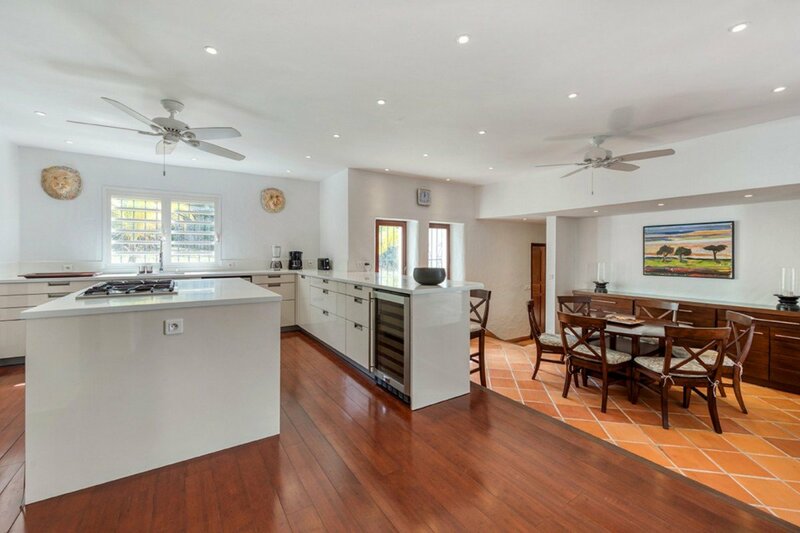 The main building hosts the kitchen, living and dining area as well as three bedrooms. 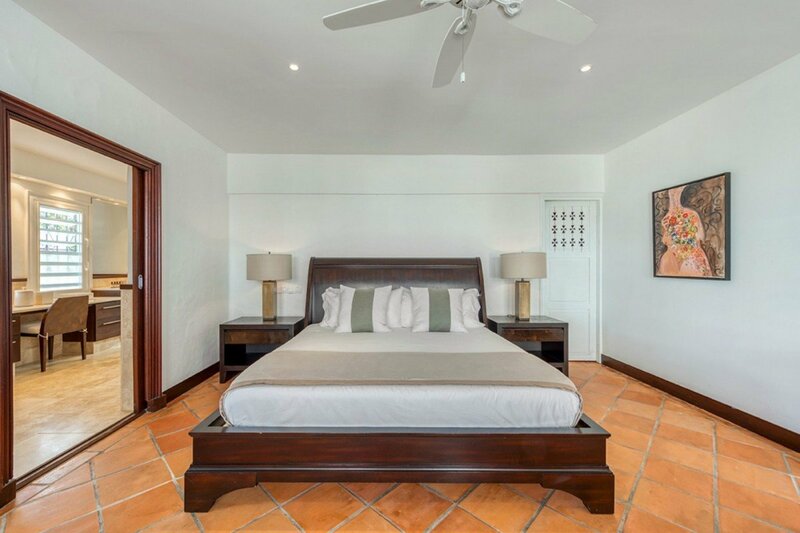 From the interior access are two bedrooms included the children's room that shares a bathroom with another bedroom that features a king bed. 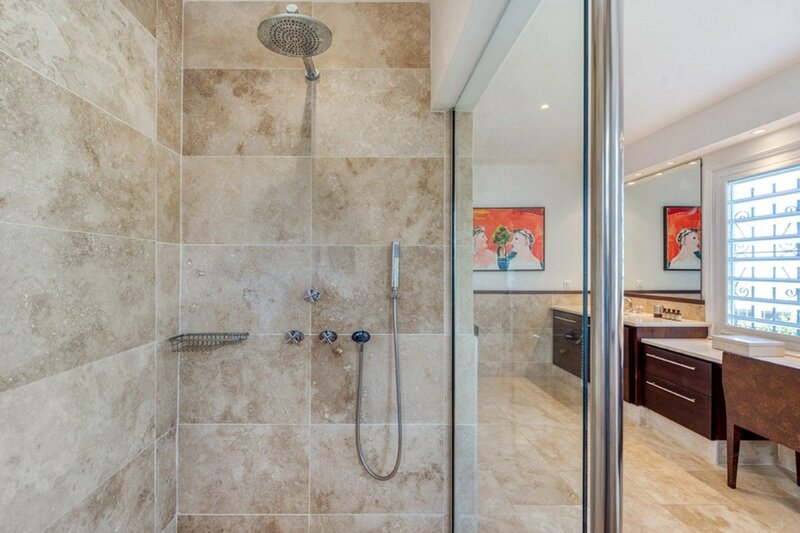 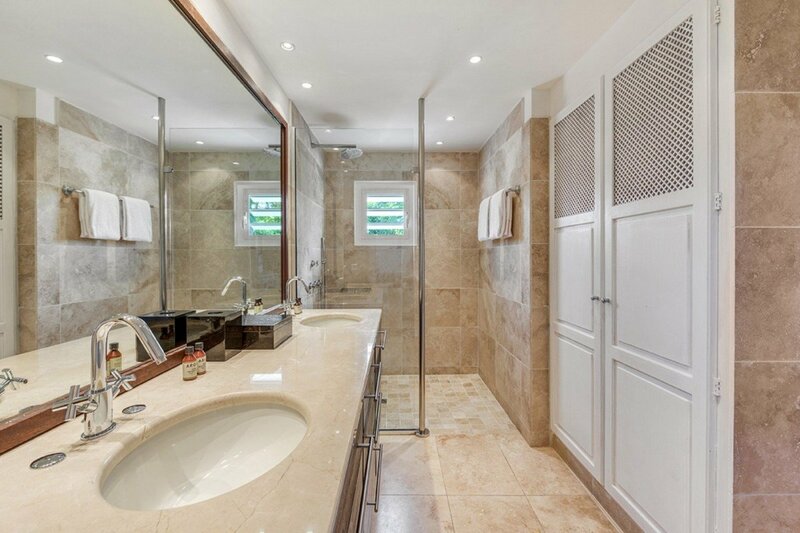 Adjacent to living room is the master suite with en suite bathroom. 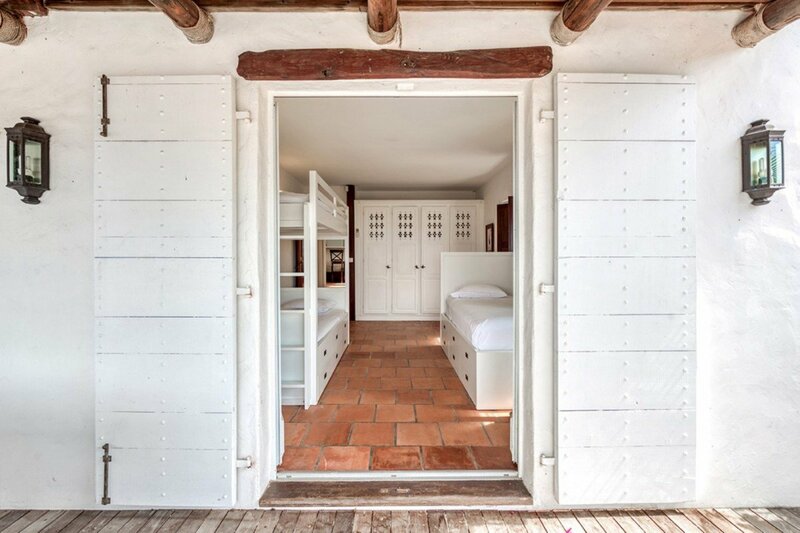 The fourth bedroom is located in a separate casita and reached via a garden path from the main house. 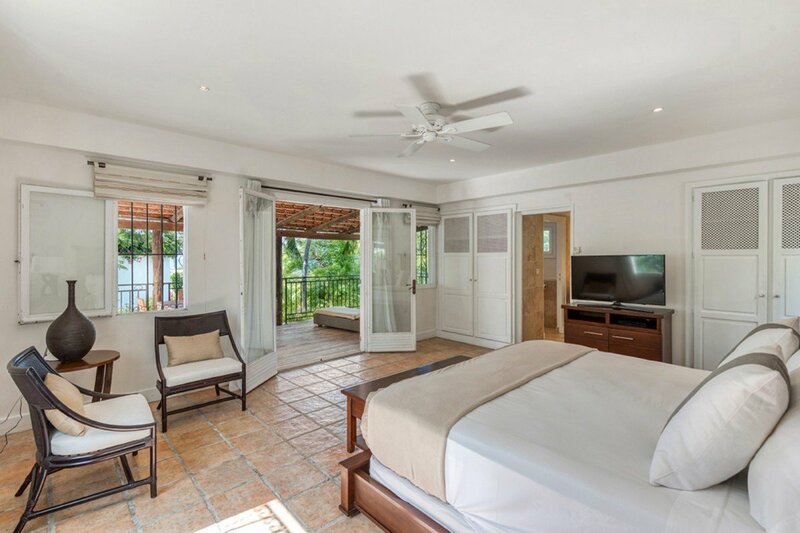 Having a lavishing private pool, this villa can be rented in a variety of ways, allowing you to choose between a two or three (+ one) bedroom villa depending on the number of guests. 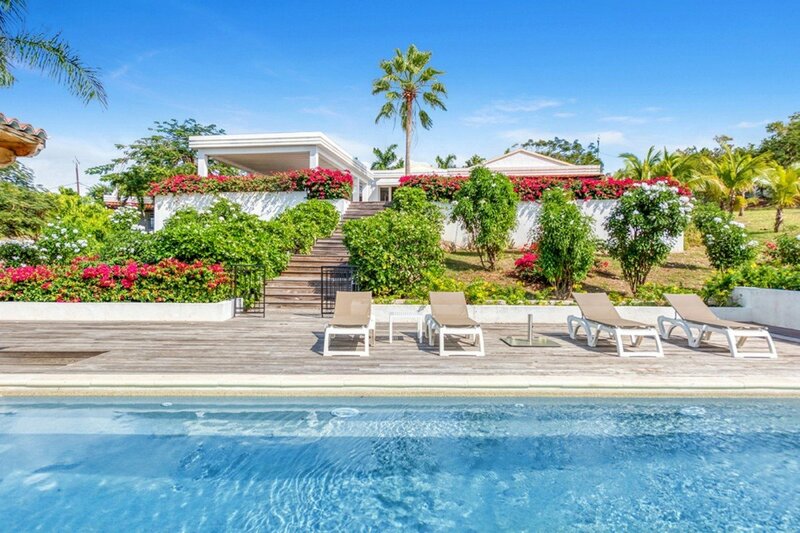 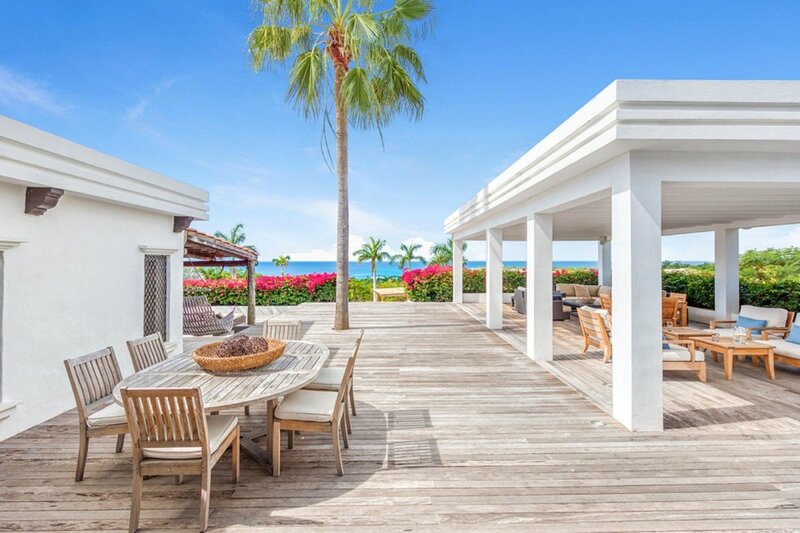 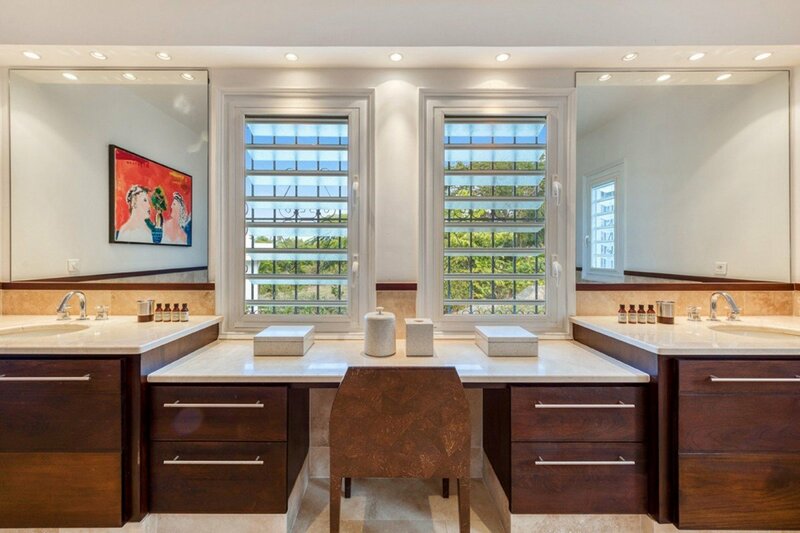 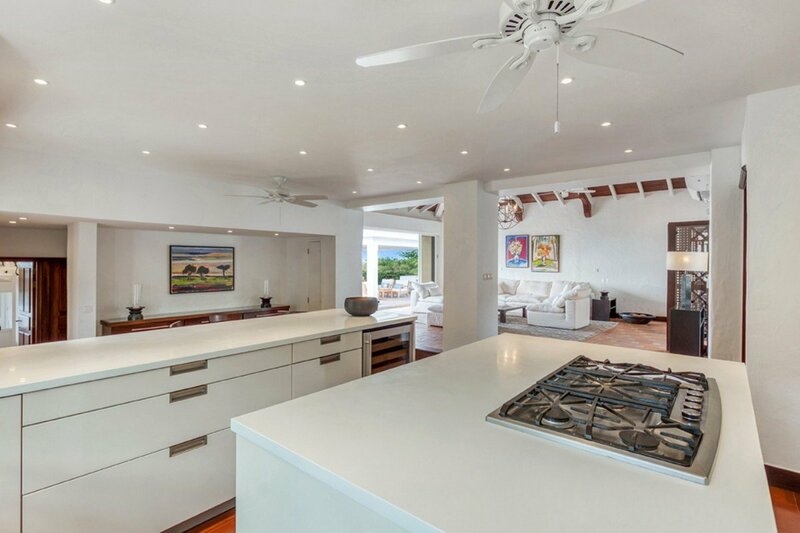 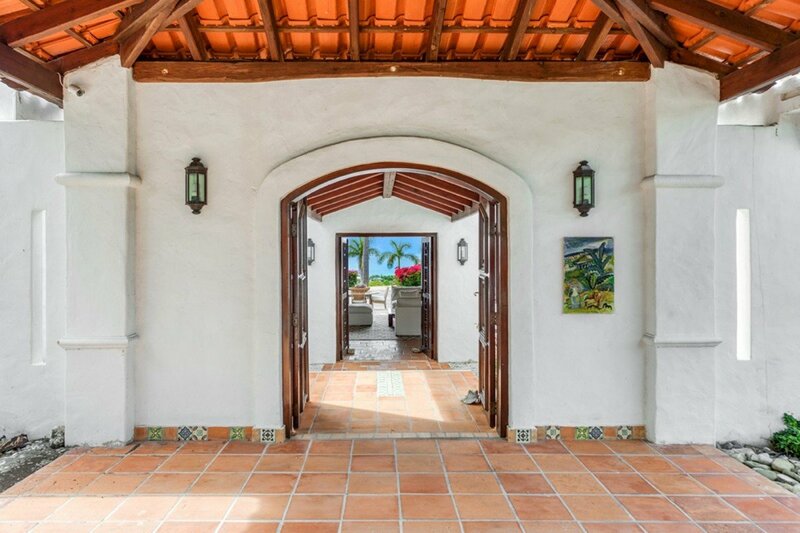 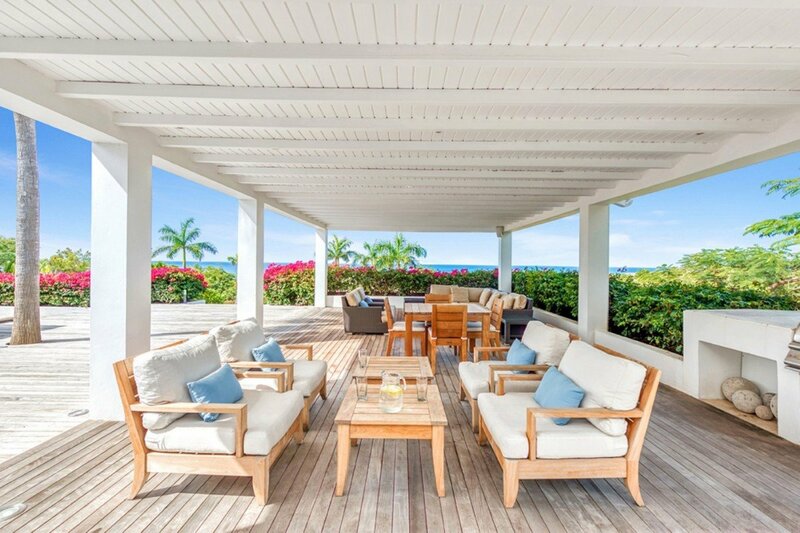 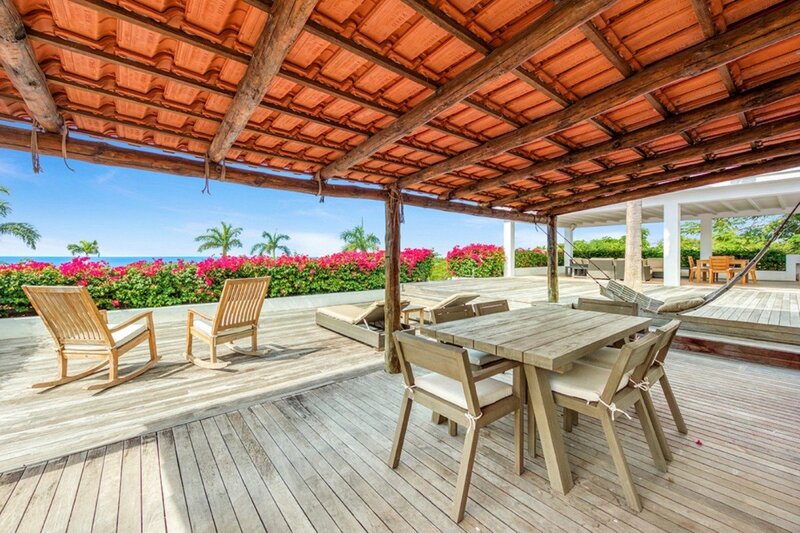 This St Martin villa rental is so stunning that it has even been featured on an episode of House Hunters on Vacation. 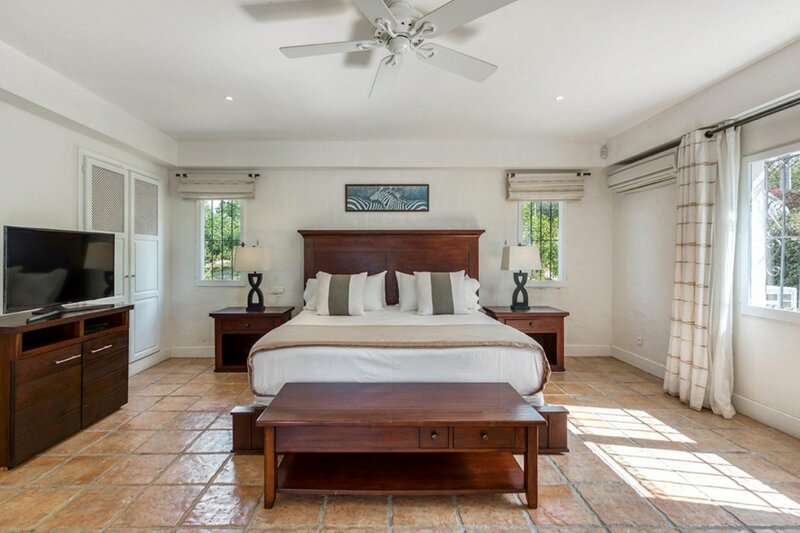 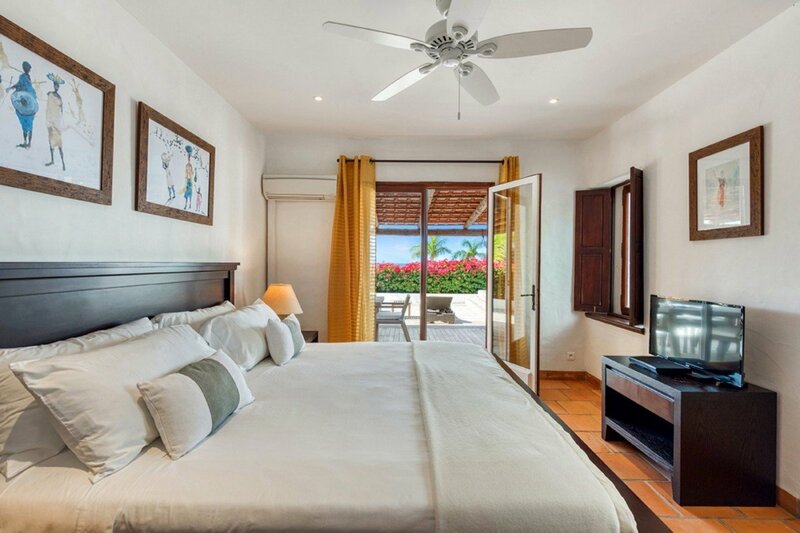 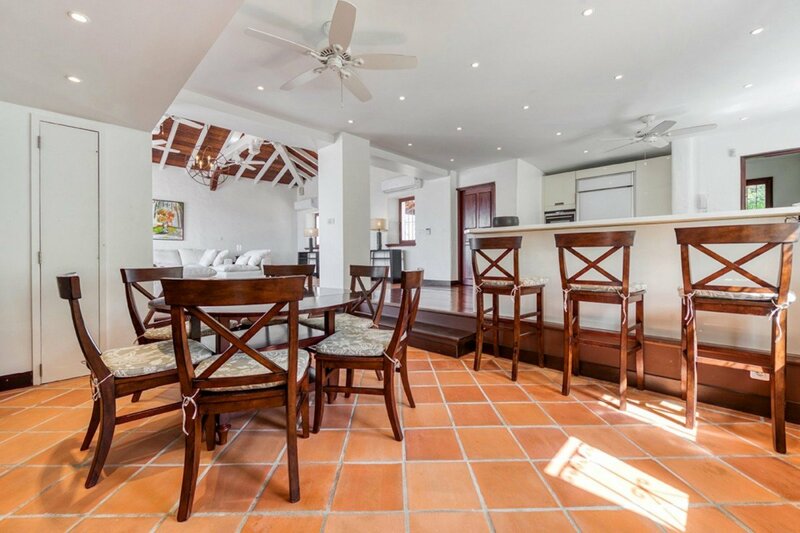 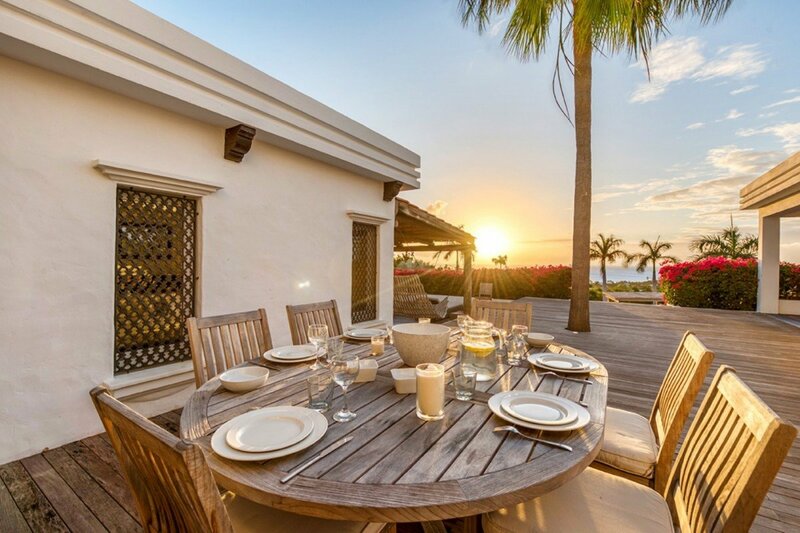 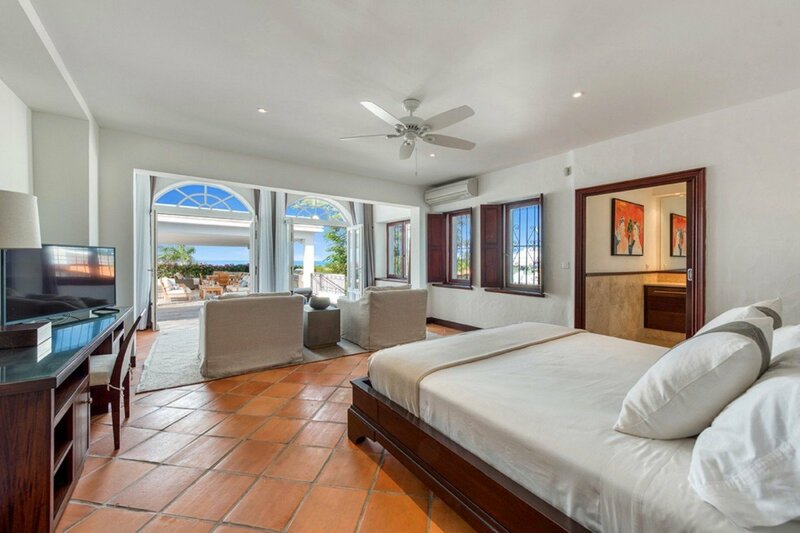 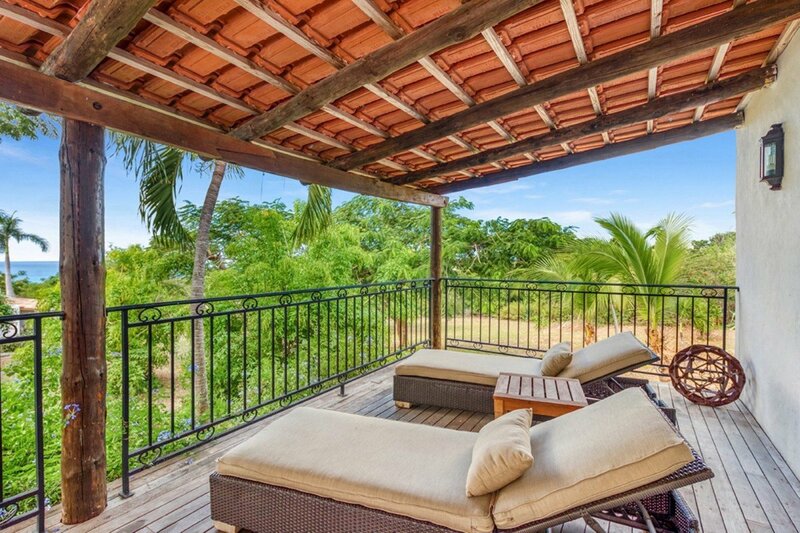 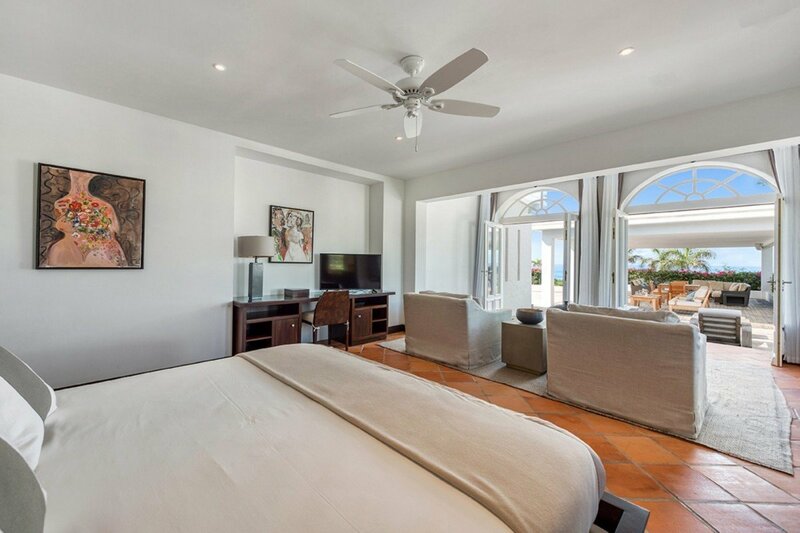 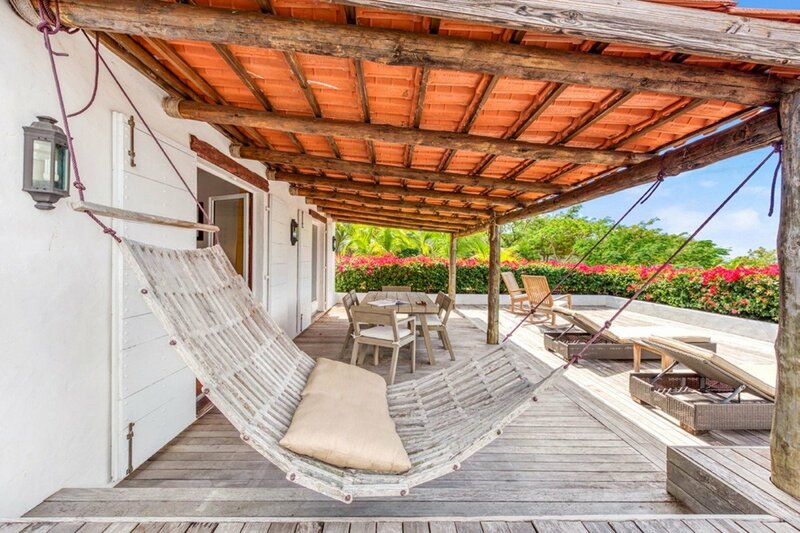 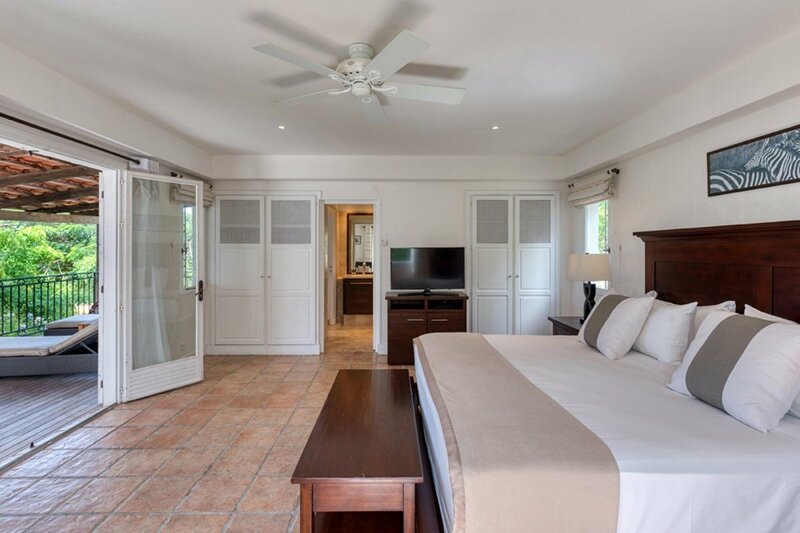 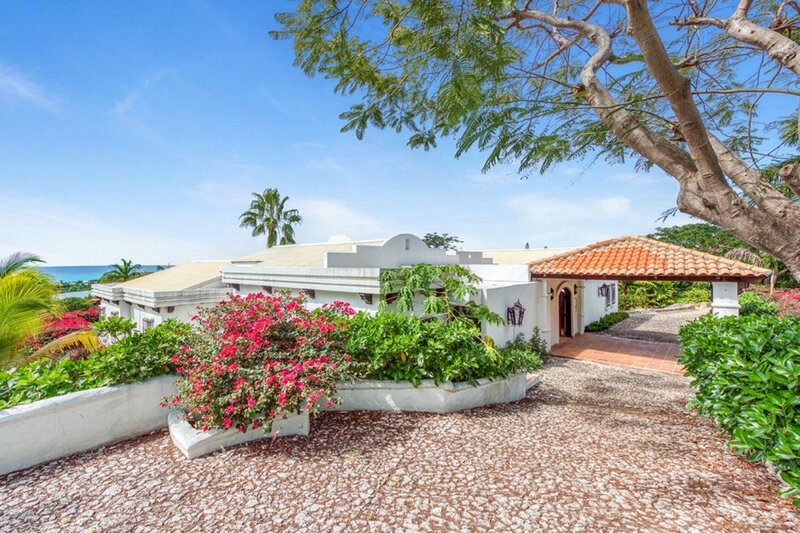 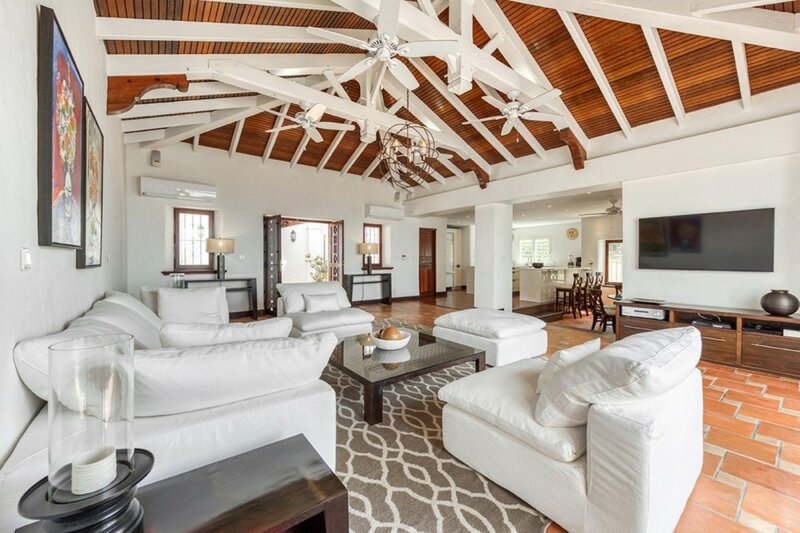 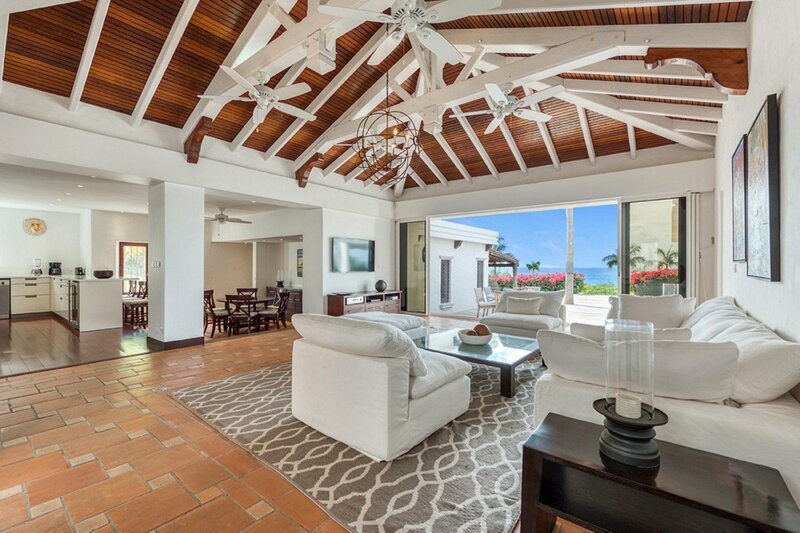 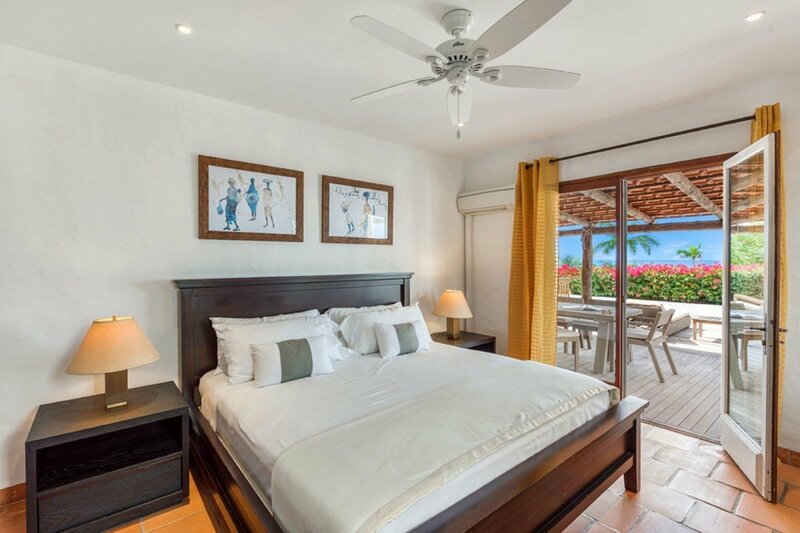 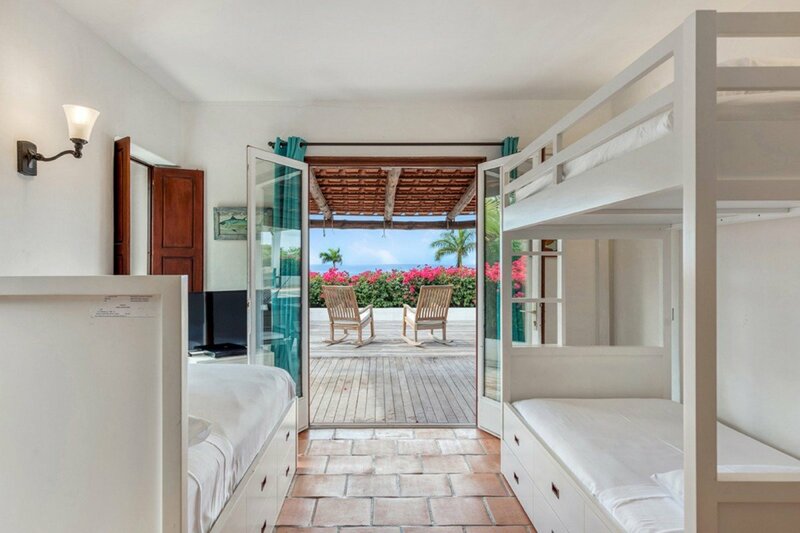 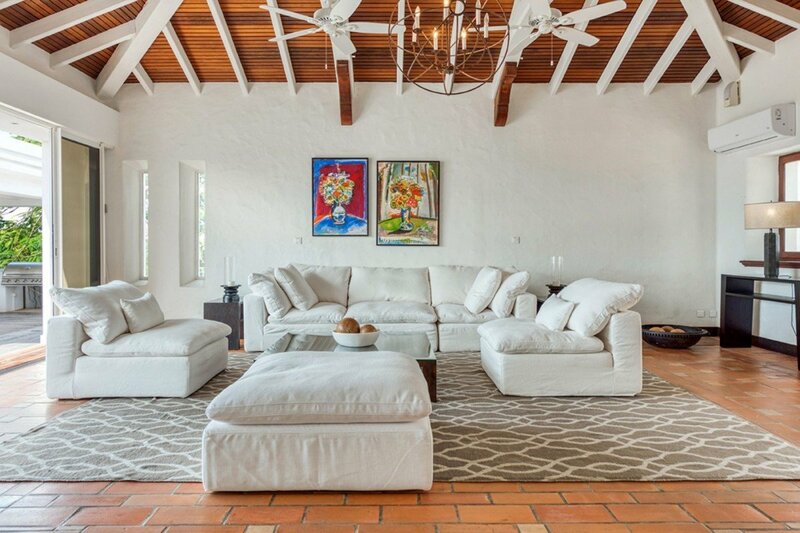 Simply by highlighting the state of the art design as well as the idyllic and Caribbean environment surrounding the villa, this makes the Villa La Hacienda a top choice for any vacation goer.